I needed some braches and trees removed that were blocking my driveway. They came the same day and removed them. I really appreciate their quick response. Always comes on time and for a fair price. Tom and Tad also took care of my Mom’s place on the spot – also for a fair price. 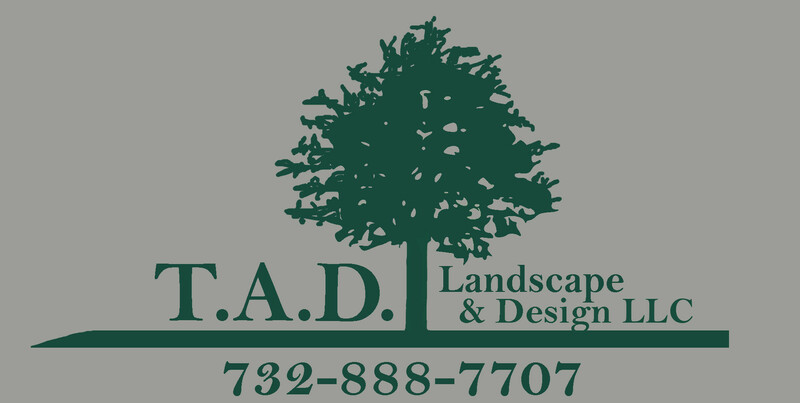 Thank you TAD landscaping for your continuing professional and trustworthy service, lawn mowing, tree removal and trimming- leaving my property spotless no matter what service you perform for me. Always reliable- not to mention your staff, courteous, dedicated, and polite. Having several landscapers over the past 40 years, none compare and none more affordable. A very happy customer. It was a pleasure working with T.A.D. Landscaping and I highly recommend. They are a Family owned business that take pride in their work. Everything from our initial encounter to the very end was prompt and professional and job was completed as promised. I kept adding things along the way and they were so accommodating. The crews wonderful, very respectful and they tidy up after each days work. I wouldn’t think twice about hiring them in the future and referring them to all my friends and family. I cannot begin to tell you how excited and thrilled I was that I used T.A.D. Landscape & Design who was recommended to me from a local resident, to redo the entire front of my house. When I called them and mentioned that I leave for work at 7:30am, Tom agreed to meet me at 7am, to review my situation, and then was out the next week to remove all of the shrubs, which have been there for way too many years. When they arrived they even did more than planned, as I mentioned that I was wondering if they could also remove the Christmas Tree, which grew too large and hid the house. Two minutes later, the tree was gone. The work they performed has received nothing but compliments from all of the neighbors. So much so that my next door neighbor is also using them. I highly recommend this wonderful team. A nice family owned team, who’s son gets his hands dirty!